This pack is FREE when you purchase the entire pattern. General Instructions & Assembly: Every project has a linchpin and this is it. 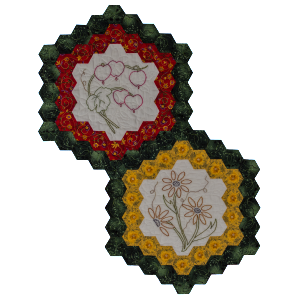 This pack contains everything you need to assemble the blocks and complete this beautiful quilt, starting with a list of supplies for the entire quilt. 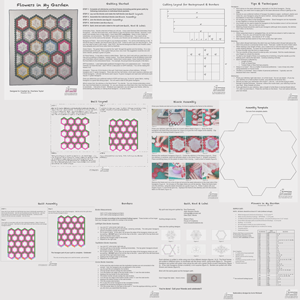 I’ll walk you through the 6 steps required to make the quilt. Then we’ll talk about fabric, floss and other necessary supplies. 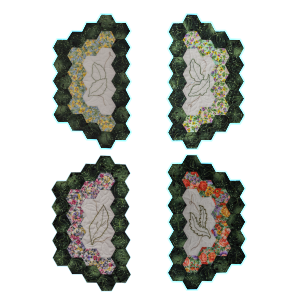 A cutting layout for blocks and background fabric is included (so you don’t waste or run short of fabric). Round that out with a page of tips and techniques. Many of these are things I learned the hard way. 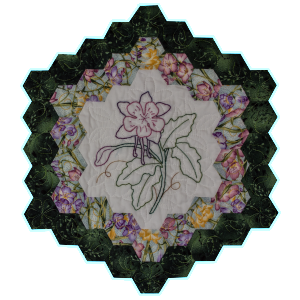 Because of the large embroidered block centers, one tricky part of this quilt is assembling the blocks so that the quilt lies flat. I came up with my own method, which is detailed in text and pictures. A pattern for the template I used with this method is included. In addition, there are two pages of layout instructions with step-by-step pictures. Once your blocks are assembled, you need borders. 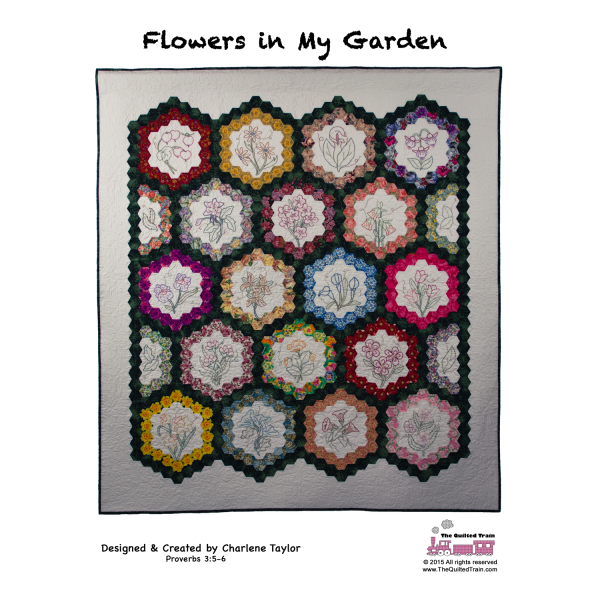 I have a page on creating the borders and adding them to the hexagon top. Lastly, you will find a page on quilting your finished top. 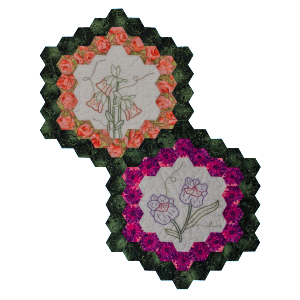 I have included the exact quilting designs that I used and where you can get them. Or, if you prefer, I have included the name and contact information for the long-arm quilter who finished my quilt. And – if you purchase the entire pattern, this General Instructions & Assembly pack is free!